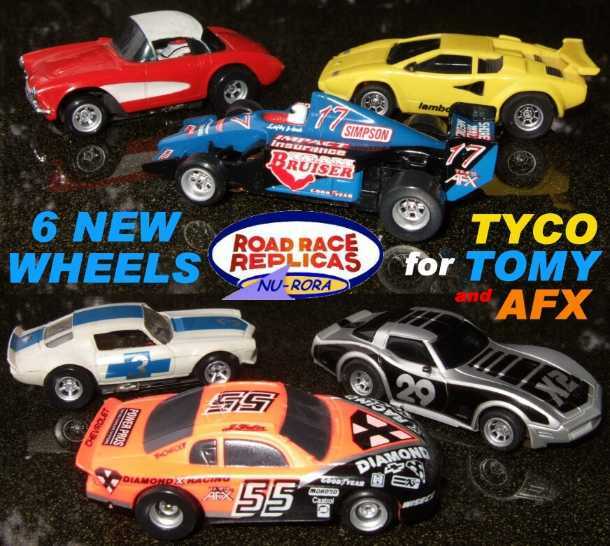 WE ARE NOW AT: roadracereplicas.com TOO! NOTE: Rear Tires not provided due to so many personal tastes and tire diameters. OPTIONAL NEW GEL-CLAW super-durable rear tires for your cars available too! on the backside of the rear hub. On the small shoulder of every rear wheel hub is a small "X" or " T " or "O" marking. 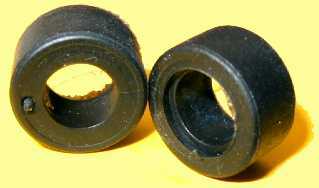 hole (appropriate for the brand), so each rear hub is marked with a letter designation for identification. Note too, the front hub's shoulders are different lengths too - Long shoulder is AFX; short shoulder is Tyco & Tomy. 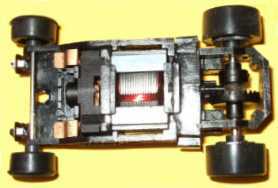 Above car shown with "SLOTS"
Front wheels have long shoulder like original Aurora Magnatraction. Comes with chrome front axle, 2 Front 2 Rear wheels, and 2 Front tires. 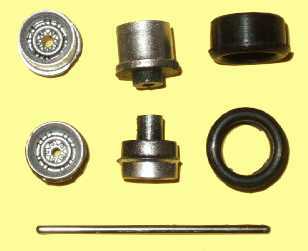 ALL ABOVE WHEELS ARE $4.50 per set. Above car shown with "STEELS"
OPTIONAL GEL-CLAW super-durable rear tires for your cars available too! 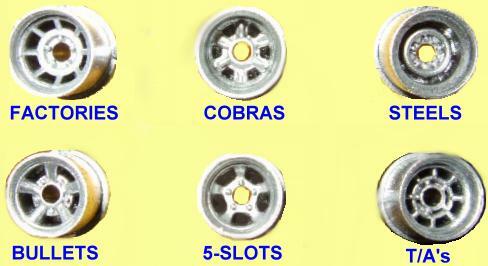 Above car shown with "T/As"
If you want the same wheels for your TYCO or Hot Wheels cars we have as well! They are the same wheel but different dia. hole and shoulder width. 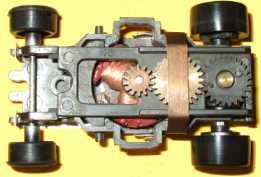 Front wheels have short shoulder. 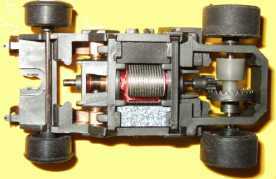 Comes with front axle, 2 Front 2 Rear wheels, and 2 Front tires. 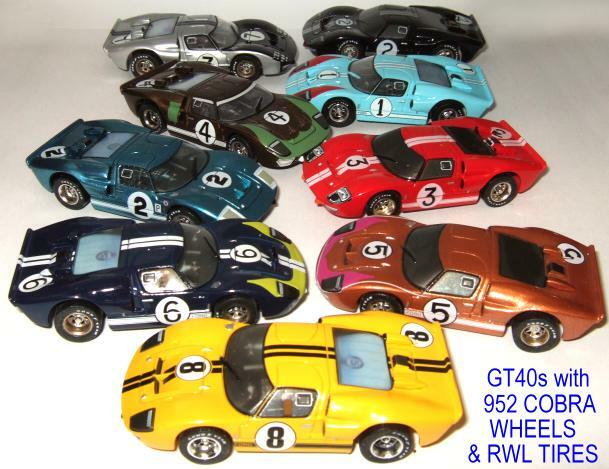 Above car shown with "COBRAS"
If you want the same wheels for your TOMY SG+ cars we have as well!